Since you don’t want the ink from your pen to bleed through the page or expand too much on the page when writing, it’s essential to use the right pens with your LifePlanner. Through trial and error, I discovered two types of pens that work best for me. 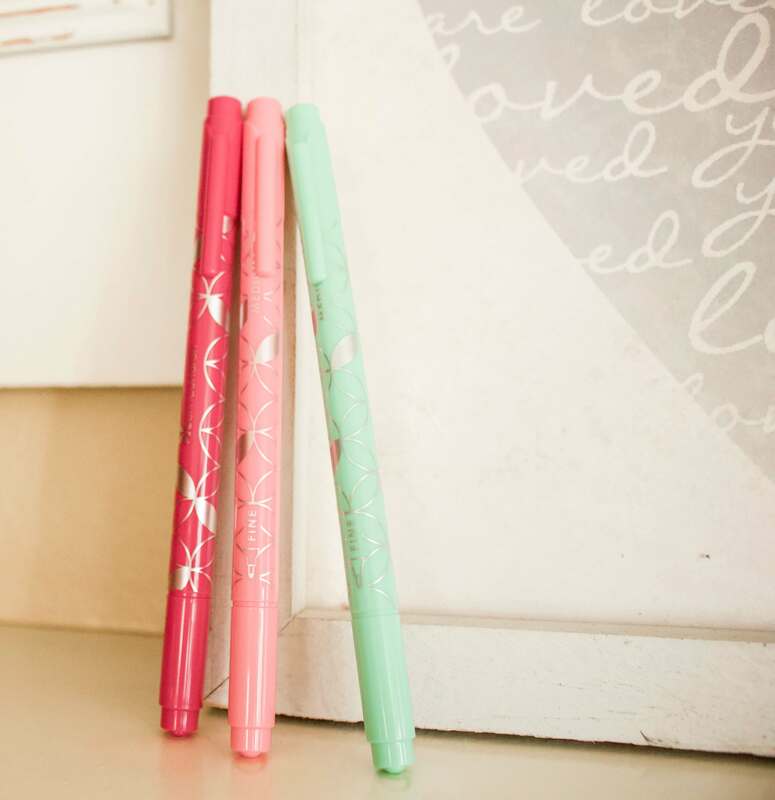 The first is the Erin Condren Colorful Dual-Tip Markers. I love that these have the finer tip as well as the medium tip! Also, these pens do not bleed and dry quickly. The second is the assorted color uni-ball 207 retractable gel pens. 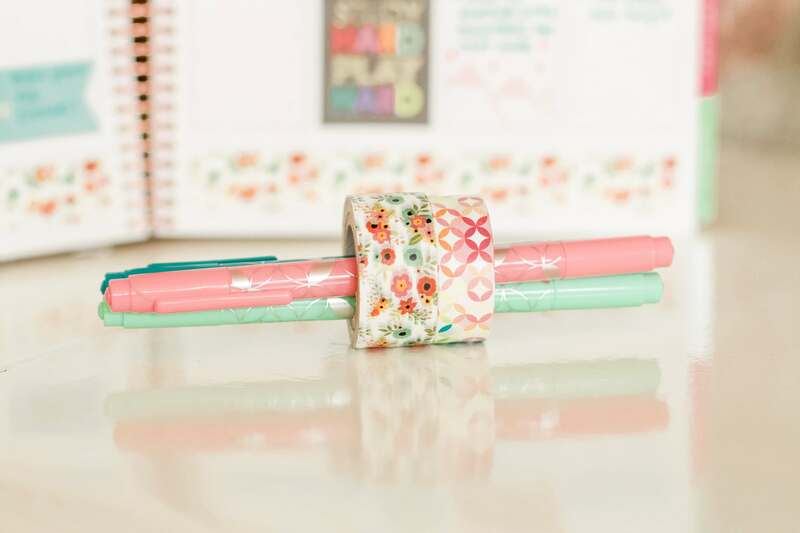 These glide on smoothly and are great for writing in smaller spaces in your planner. This is one of my best tips for using your Erin Condren LifePlanner. I’m not a fan of having writing crossed out in my planner due to plans changing. That’s why I recommend that you write tentative plans in your planner either using pencil or a sticky note. 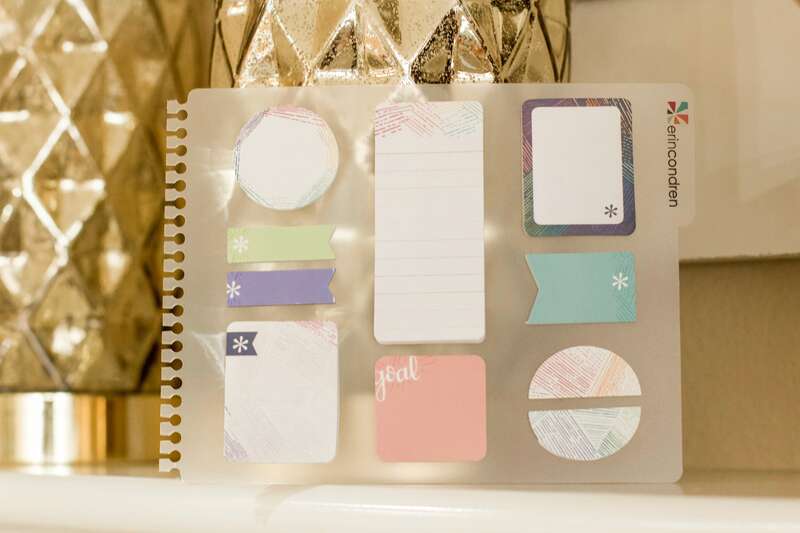 I love the snap-in StylizedSticky notes from Erin Condren. Explaining this tip isn’t really necessary. 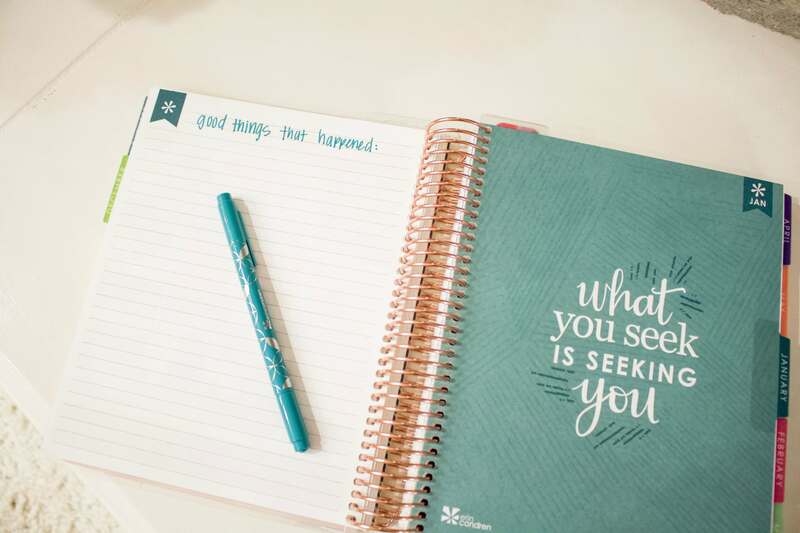 However, I find that decorating my planner incentivizes me to constantly reach for my planner, making sure I’m always checking what weekly tasks and events I have going on. 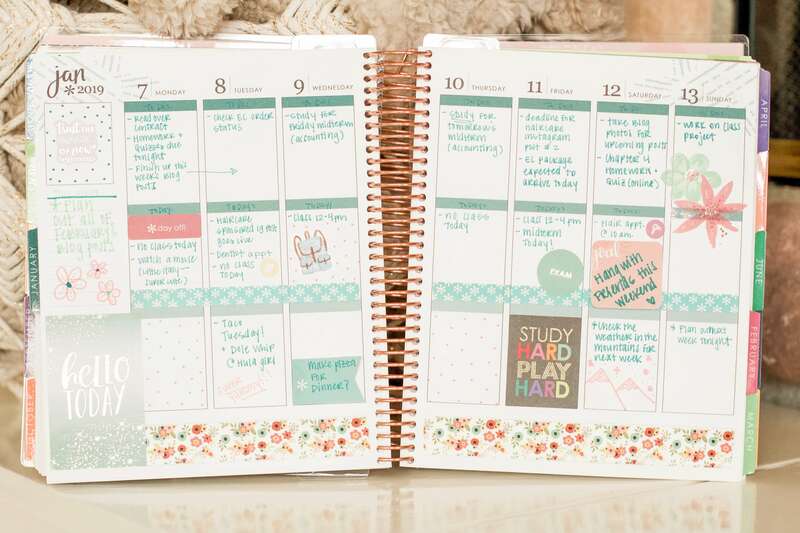 To see how I decorate my planner, check out this post. 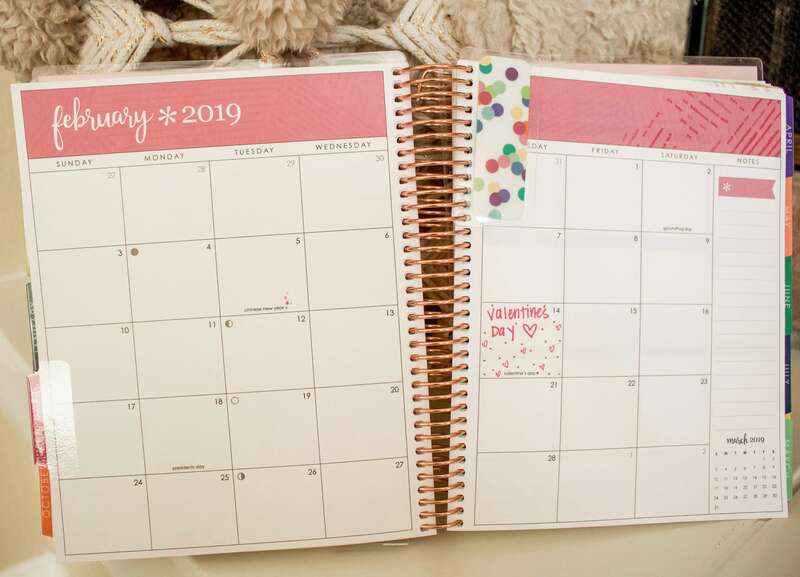 When I first started using my EC LifePlanner, I did not take advantage of the monthly spread section that is at the start of each month in the planner. However, I now rely on this section. I use it to write down important appointments and events that I want to easily see all in one place. Also, I find that the notes section in this area (not pictured) is a great space to write down monthly goals. 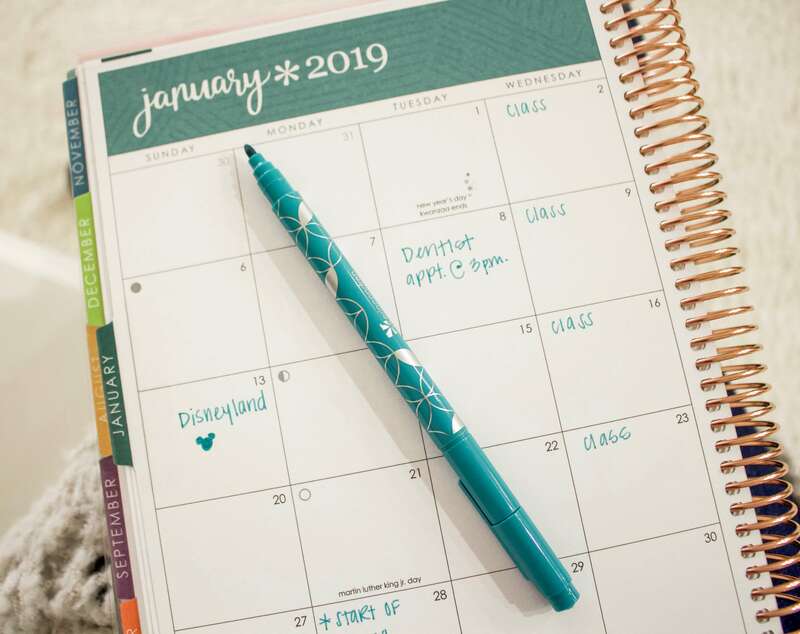 The LifePlanner comes with a snap-in bookmark that I use for the weekly spread, however, I also like a bookmark for the current monthly spread and upcoming monthly spread so I can easily flip to these sections. Instead of using another big snap-in bookmark, I prefer to use the EC mini snap-in bookmarks like the polka dot one in the above picture. This is not only a LifePlanner tip, but a life tip in general. 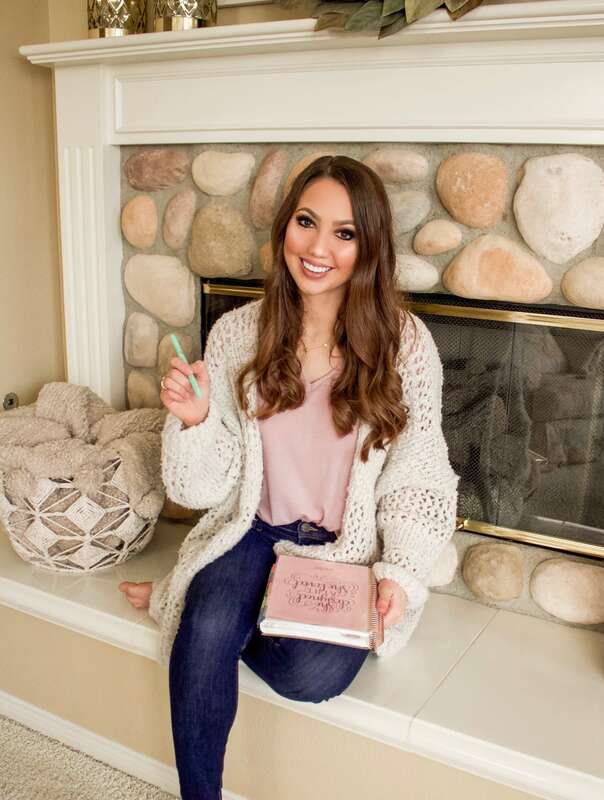 Each week on Sunday evening, I sit down with my planner and plan out the week ahead. This is how I always remember everything I need to do and it helps me stress less. I find that one of the best ways to use my planner in a functional manner is to organize it the same way each week. Since my planner is the vertical layout, I organize mine based on “To Do,” “Today,” and “Other.” A more in-depth explanation of how I organize my Erin Condren LifePlanner can be found here. This is actually something I just thought of and now want to incorporate into how I use my planner. At the beginning of each month there is a lined page and I think this is the perfect space to jot down some highlights of how the month went. I’m guilty of not taking advantage of all these extra types of pages in the planner and I want to start using them more! 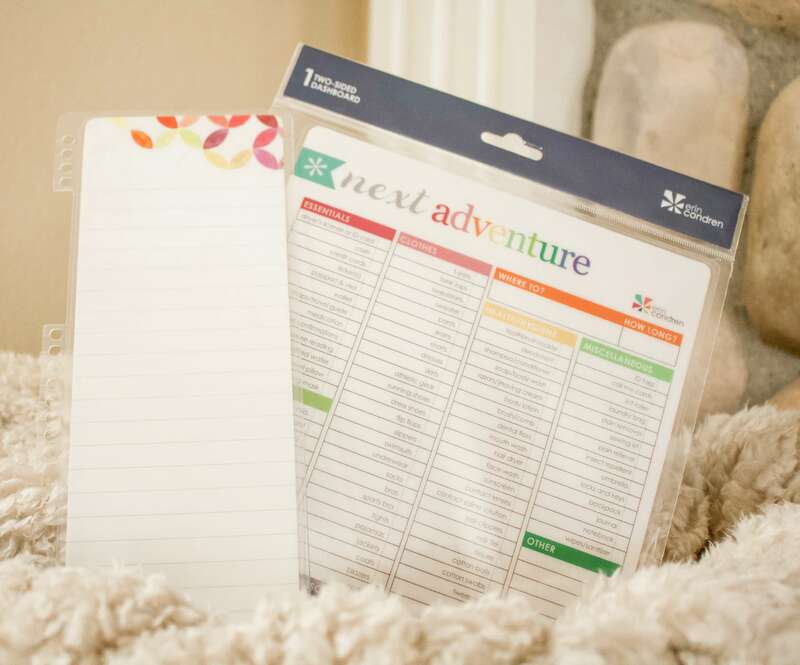 If you’re super into being organized like I am, you NEED some of the snap-in dashboards Erin Condren offers. While there are many options, some of the ones that I think you would use the most are the Meal Planner Dashboard, To-Do List Dashboard, and Travel Dashboard. Whew! That was a lot! 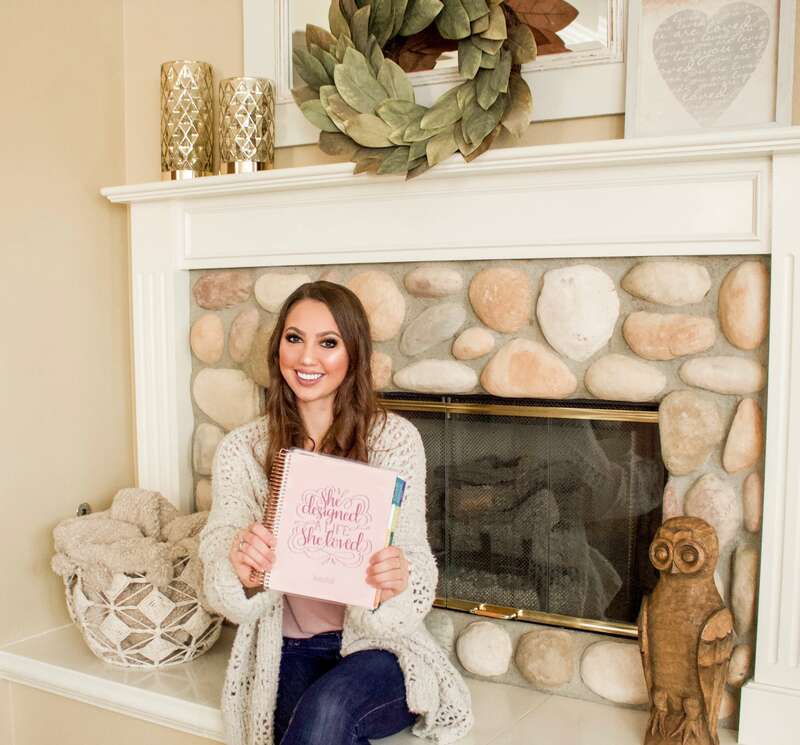 I hope it helps you whether you’re a LifePlanner newbie or a huge fan! You all always love my LifePlanner posts, so I’m going to be sharing more of them in the future. In order to not miss out on those posts, subscribe to my blog by entering your email in the sidebar! 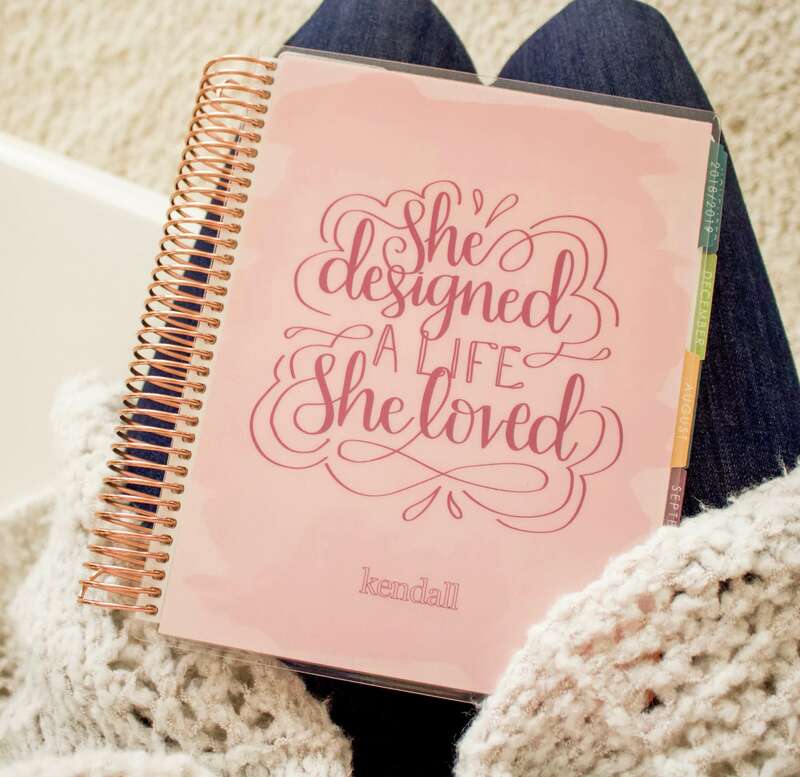 Also, if it’s your first time ordering a LifePlanner, use this link to get $10 off your first purchase. By using my link, after you create an account, you will receive an email with a $10 coupon code for your first purchase. This is so cute and organized! I’m constantly using my planner weekly faithfully! I’ll have to check out these pens, becAUSE i KNOW I’M NOT USING THE RIGHT PENS!